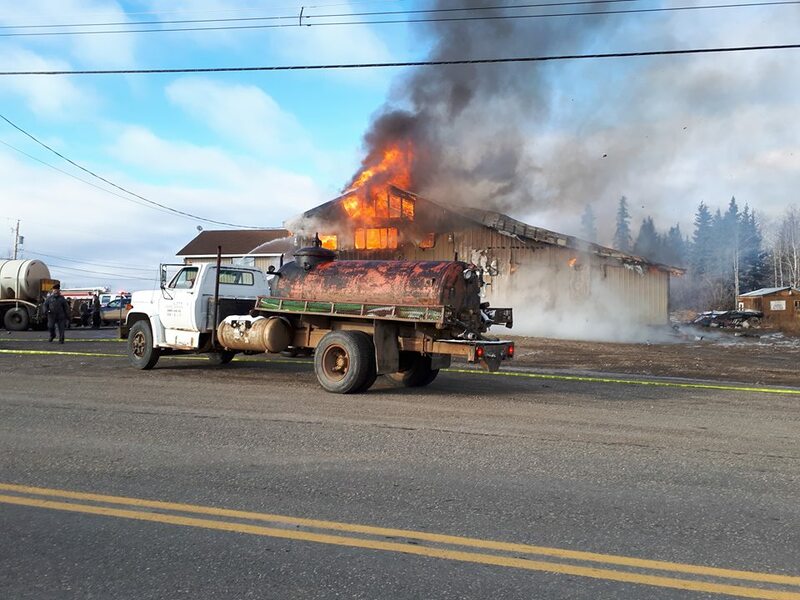 The Grassy Plains Country Store at 34107 Keefes Landing Road in Burns Lake caught on fire. A witness said they reported seeing the fire started before 9AM. The fire has now been put out, however, Local resident, Manon Laviolette says everything burned. She says the family who owns the building, and lives in an apartment above it was inside when the fire started but everyone managed to get out safely. The Burns Lake Fire Department was on scene fighting the fire but the cause of the fire is unknown at this point. 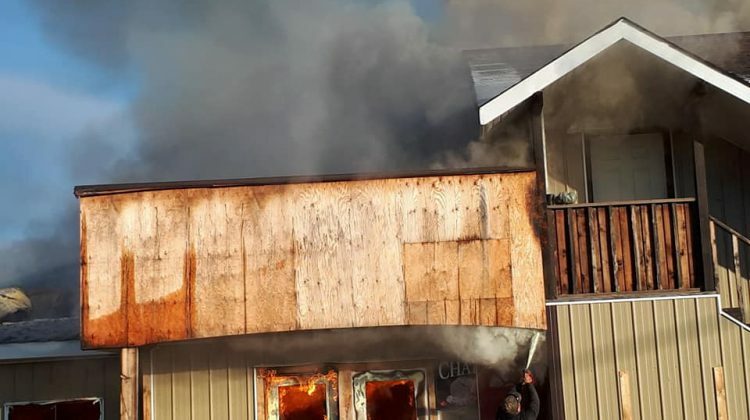 Residents can be seen in photographs helping fight the fire by moving all flammable items away from the building.